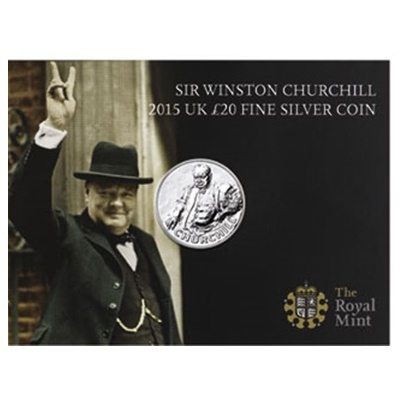 In 2015 The Royal Mint celebrates one of the United Kingdom's most formidable leaders, Sir Winston Churchill, with a coin struck in fine silver to commerate the 50th anniversary of his death. The coin features a design inspired by the famous portrait captured by Yousuf Karsh in 1941, during Churchill's influential period as Prime Minister during the Second World War. His steadfast gaze is so familiar and still so defiant. 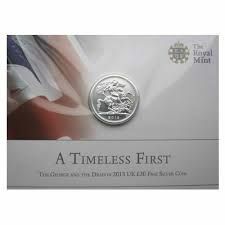 This is an official United kingdom coin, carrying the current portrait of Her Majesty The Queen on its obverse. It is a fitting and respectful tribute to one of the "Greatest of Britons".